With the Christmas recess looming the market regained some upward pressure this week as exporters tried to lock in their requirements. 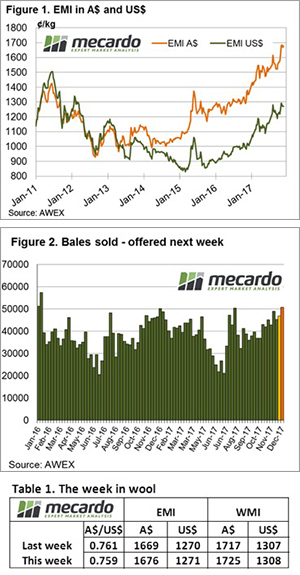 Fine and medium fibre prices built up gradually across the sales, while most of the crossbred market moved into negative territory. The Eastern Market Indicator (EMI) gained 7 cents to the week in Australian dollars, but when converted to US dollars, felt just a 1 cent increase. The story was similar in the West with the WMI lifting 8 cents. Results from the superfine sale in Sydney this week were positive with a 36 cent gain for 16.5 micron fibres. This was the best result on the board with the other fine categories ranging from slight retractions to an average 20 cent gain. Medium fibre (19.5 to 22 micron) prices managed to correct themselves from the levels of the week prior. Rises of 15 to 25 cents were common at all three selling centres. Most microns and categories in the skirtings market received support in line with the gradual increase of the fleece market. 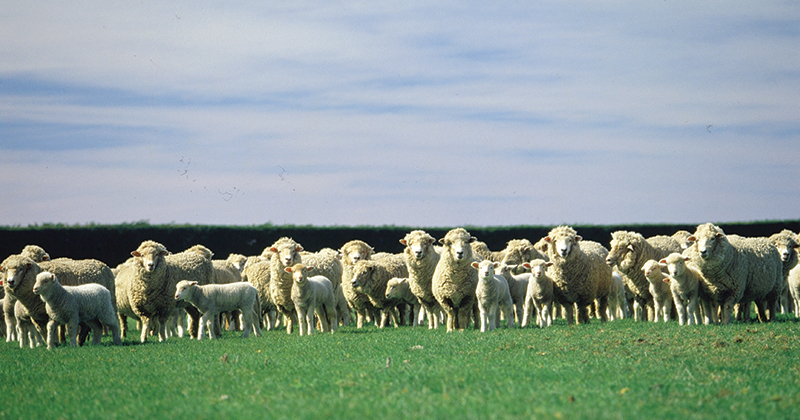 The crossbred market failed to bounce back like the Merino market this week. Prices continued to drop in the margin of 10 to 25 cents, particularly for lots that were poorly prepared. Locks and crutchings managed to attract some stronger prices in the oddments market and we saw washing lambs at extreme levels for the finer lots. The cardings indicators moved up slightly, with an average 3 cent increase across the three selling centres. The bale offering over the last few weeks has been sizeable, and this is set to continue with 50,828 on offer next week. There has been discussion that the good market has driven a lot of growers to pull their shearing dates ahead of schedule this year. Given the offering we’ve seen over recent weeks, It looks as though many growers are running about a month earlier than on a typical year. If this is in fact the case, we expect that supply will drop out slightly in the new year.